In the previous “Passion for Jura” post, we talked about the region – history, terroir, grapes and types of wines – but we didn’t talk about the wines themselves. 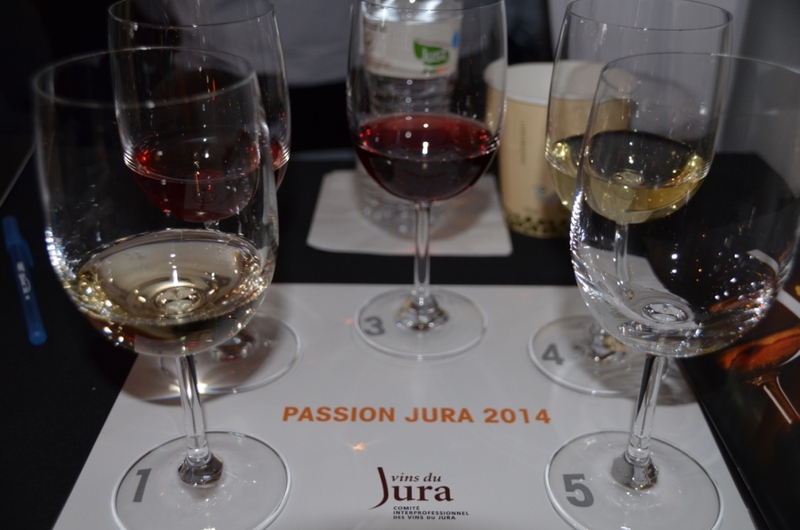 “Passion for Jura” was the name of the seminar and tasting which I recently attended in New York city, where I had an opportunity for the first time to really immerse into the fascinating world of one of the oldest wine producing regions, which is really unknown in US. NV Domaine Jacques Tissot Cremant du Jura Blanc Brut (12% ABV) – 100% Chardonnay, refreshing grassy nose, very acidic, bubbles are present but somewhat muted in the glass. Creamy mouthfeel with toasted bread and apple on the nose. Overall, not bad, but lacking a bit an overall energy of the sparkling wine. 2011 Domaine de la Pinte Jura Arbois Polsard de L’Ami Karl (11.5% ABV) – light, refreshing, cranberries with the touch of barnyard, herbs (sage), light but with the nice tannins. Very interesting and very enjoyable. 2011 Benoit Badoz Vermiel (13.5% ABV, 70% Trosseau, 30% Pinot Noir) – fresh grapey nose – not a pronounced as Beaujolais Nouveau, but still quite explicit. Cherries and blackberries show up next. Beautiful, smokey notes on the palate, a bit sharp, but fresh. Clean acidity, long pleasant finish. Somewhat similar to Oregon Pinot Noir, but more round. Also has a noticeable green component. 2009 Fruitiére D’Arbois Savagnin Arbois AOC (14% ABV, 100% Savagnin) – oxidation is very much pronounced, pretty much like with Sherry, both on the nose and the palate. This wine is typically made as Vin Jaune, but it requires lesser aging time. After the wine breathes, it becomes much less aggressive and comes through as clean, despite the oxidation. 2009 Domaine Pierre Richard Vin de Paille (15% ABV) – delicious nose. Palate is beautiful, with refreshing acidity, touch of bitterness, and full of fresh juicy apricots. Wow! And here is the list of some of the wines I tasted during the walk around tasting. The place was small, and got very crowded after a while, so I didn’t taste the wines from all 20 producers. As usual for the trade tasting, I’m using the “+” sign system. The wines mentioned below were my favorites, for the most cases with “+++” ratings with some exceptions (of course), such as “++-|” and “++++”. 2010 Domaine Jacques Tissot Arbois Chardonnay (12.5% ABV) – +++, beautiful! 2012 Domaine Jacques Tissot Arbois Chardonnay La Mailloche (12.5% ABV) – +++-|, butter and balance! perfect. 2006 Domaine Jacques Tissot Arbois Vin Jaune (14.5% ABV) – +++, mushrooms and forest floor! should be amazing with savory dishes. Vin Jaune can last for 6 month after being opened. NV Domaine Jacques Tissot Macvin du Jura (17% ABV) – very unusual palate, with raspberries, almost taste like Framboise, very nice. Can last for 6 month in the fridge. 2012 Domaine Désire Petit Ploussard (12.5% ABV) – +++, smokey nose! 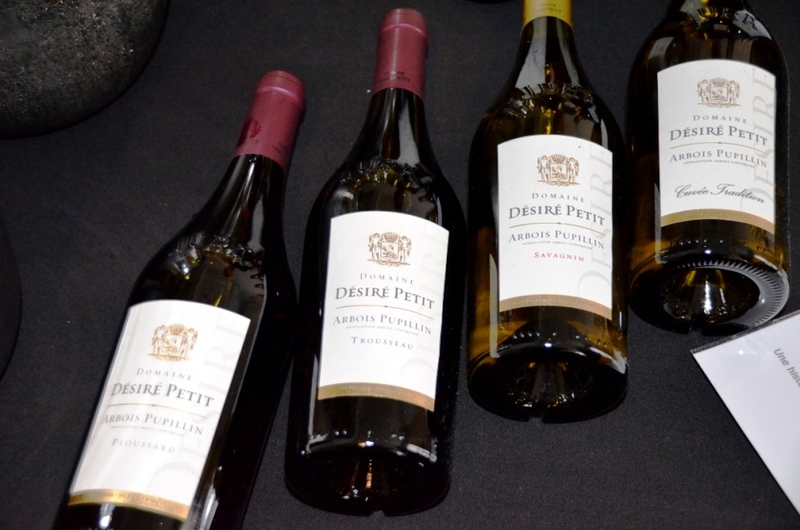 2012 Domaine Désire Petit Chardonnay (12.5% ABV) – ++-|, clean, classic, minerality! 2005 Domaine Philippe Bornard Ploussard La Chamade – Best of tasting! 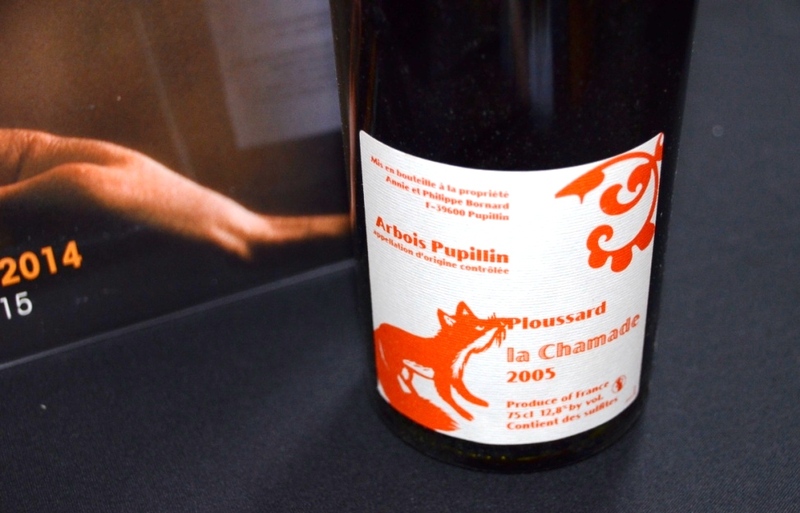 2005 Domaine Philippe Bornard Arbois Pupillin La Chamade Ploussard (12.8% ABV) – ++++, wow! 2011 Domaine Philippe Bornard Chardonnay Les Gaudrettes (12.5% ABV) – +++, complex, delicate! I also tasted 4 different Vin Jaune wines from Domaine André & Mireille Tissot, all from 2007 vintage, all single vineyard, and all delicious, with the one from Chateau-Chalon being the best – unfortunately, as all those wines were not listed in the tasting brochure, I can’t give you their exact names – but look for Domaine André & Mireille Tissot Vin Jaune – they are well worth your attention. That concludes my report on the Passion for Jura tasting. Based on my experience, I can simply tell you – Jura makes delicious wines, and you need to experience them. 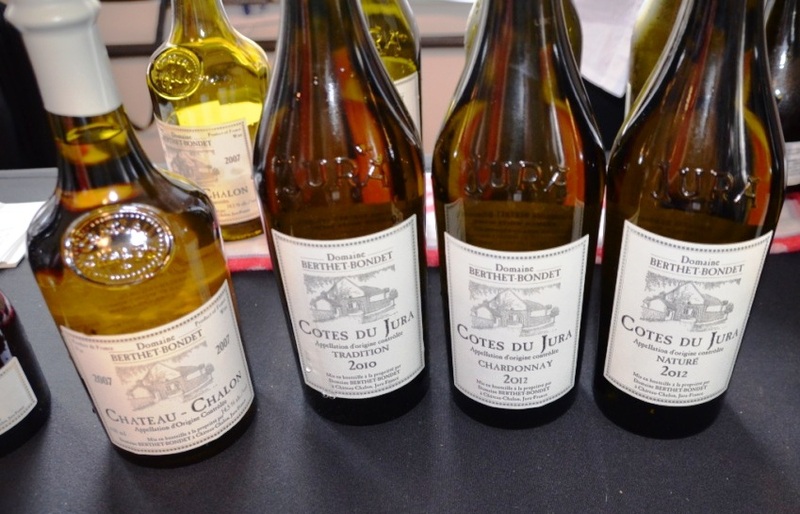 Go to your wine merchant and ask for the Jura wines by name – and let me know how you will like them. Cheers! A wonderful epilogue to your Jura adventure: I sure would love to have some day the opportunity to taste that Domaine Pierre Richard Vin de Paille… Sounds delicious!